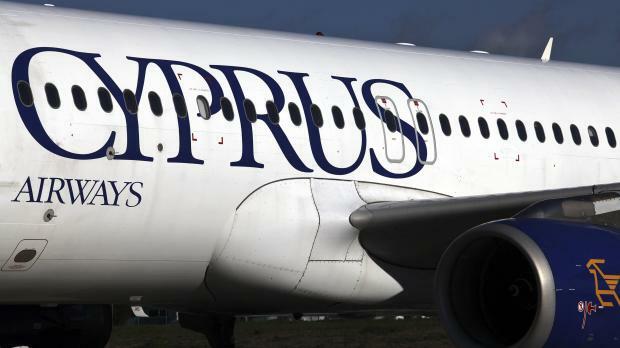 Cyprus has suspended operations at its flag carrier after the European Commission ordered the struggling airline to pay back over 65 million euros in illegal state aid. The last Cyprus Airways flight took place last night, government officials said. EU Competition Commissioner Margrethe Vestager said Cyprus Airways had no chance of becoming viable without continued state subsidies, meaning money paid out in 2012 and 2013 as part of a restructuring package would have to be recovered. The restructuring plan was "based on unrealistic assumptions" the EU Commission said. Under EU rules a company can only receive state assistance once every 10 years, and the airline had already been bailed out in 2007. "The company has ceased being a viable entity ... and cannot continue to operate," Finance Minister Harris Georgiades told reporters. He said the state would fully cover the cost of alternative flights for passengers who had already booked with the airline. Cyprus Airways, 93 percent owned by the state and which employs 550 people, has a 10 percent share of flights to the island, down from 30 percent two years ago. Ryanair <RYA.I>, which announced dozens of new routes within hours of the collapse ofHungary’s Malev in 2012, said in a statement that it was temporarily cutting prices to theMediterranean island to help stranded passengers. However, Ryanair has relatively little spare capacity due to expansion planned for the summer. Quickly covering the flights would also be complicated by the fact that about a third of Cyprus Airways’ destinations are outside of the European Union and its routes are longer than Ryanair’s average. The demise of the carrier is another blow to Cyprus, which was subjected to harsh bailout conditions in 2013 when it was yanked from the brink of bankruptcy by the IMF and the EU. A small number of demonstrators gathered outside Cyprus Airways' Nicosia offices on Friday evening, but the reaction from staff was muted. "It's pretty clear from the decision that the government didn't put a viable restructuring plan in place. Our union clearly says that was deliberate; you can turn any company around," said Petros Souppouris, head of the carrier's pilots union. Georgiades said authorities were looking into the possibility of re-creating an airline maintaining the Cyprus Airways trade name and logo. Once a suitor to acquire then troubled Greek carrier Olympic, Cyprus Airways has seen cheaper carriers muscle in on its more lucrative routes, particularly to Greece and theUnited Kingdom. It has been making losses for years, and attempts to sell it fell through last year. Both Ryanair and Greece's Aegean Airlines, which have taken market share away fromCyprus Airways, have submitted applications to Cypriot authorities to create subsidiaries on the island.